The idol of krishna depicting his tuneful mood reflects the mere brilliance of the artist. 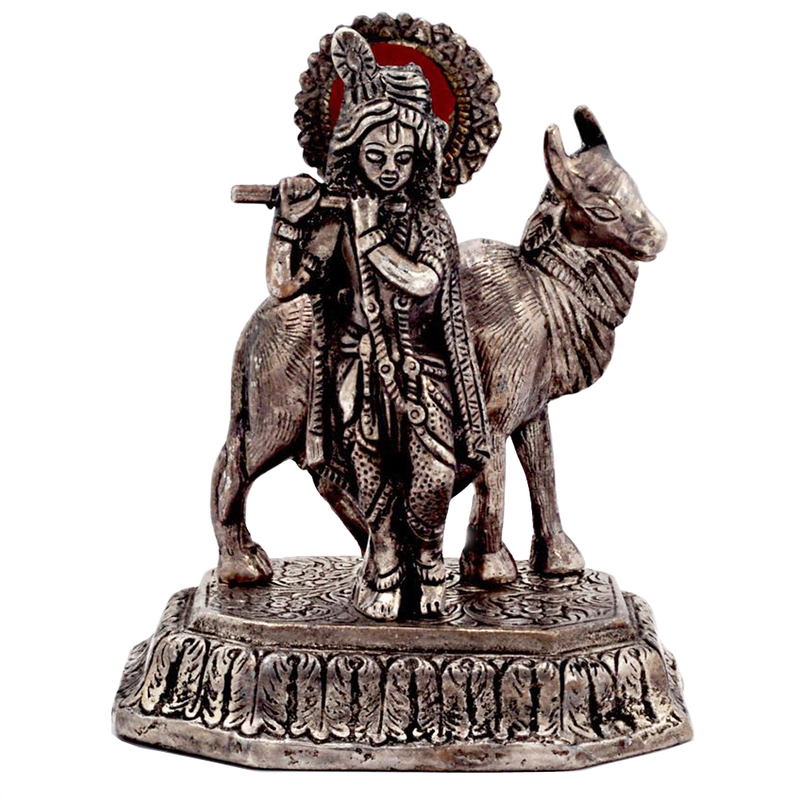 The oxidised krishna is shown playing the flute with a Read More..cow at the back. It is shown as if krishna is standing on a raised platform. This will be a perfect gift for those who chants the name of krishna or for those who like to decoarte their houses with innovative and rich look. Show Less..